Bluefin tunas are silver-bellied, and get their name from their broad, deep blue backs and dorsal fins. They are the equals of blue marlin and swordfish in size and speed, swimming at up to 20 knots for short periods. Traveling in schools of more than a hundred, bluefin can be found at tremendous depths of a thousand or more feet. This fish is warmblooded and highly adapted for cold, northern waters because its body can thermoregulate to keep it warm. With a lifespan of 18 to 30 years, it is one of the more intelligent and resourceful fish in the sea. Atlantic bluefins are highly migratory, saltwater fish. They spawn in two main areas: the Gulf of Mexico, and the Mediterranean Sea, though there may be other spawning grounds as yet undiscovered. Females lay up to a million eggs, and generally prefer areas around deepwater oil rigs and natural reefs for depositing their eggs. Mature adults have been tagged and tracked in deep water throughout the northern, western and eastern Atlantic. The Atlantic bluefin is predatory. It hunts squid and other fish for food, and can be found where there are large populations of both. When other fish are not available, the bluefin has been known to eat some species of crabs and krill. Due to its size and strength, Atlantic bluefins can migrate thousands of miles between spawning and hunting grounds. Bluefin are deep-water dwellers, and are seldom found less than five or six miles from shore. Atlantic bluefin tuna is highly sought after by humans. Its fleshy is fatty and delicious, making it a prime candidate for sushi. A mature bluefin on the market in Japan can bring hundred of thousands of dollars. Due to its popularity, scarcity and soaring value, the bluefin has been hunted to near extinction. 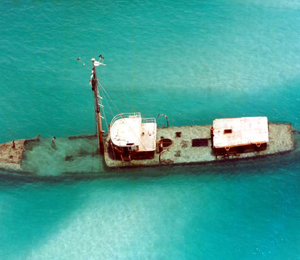 Additionally, because the bluefin in the Key West waters do not reach reproductive age until they are about 8 to 12 years old, "overfishing" of immature fish can cause the population to shrink fast. 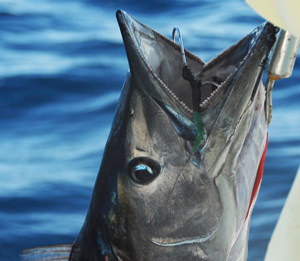 THe best way to make sure the species survives is to limit the number and size of the bluefins caught. Special permits are required for sport fishing of the Atlantic bluefin, and strict limits are enforced. 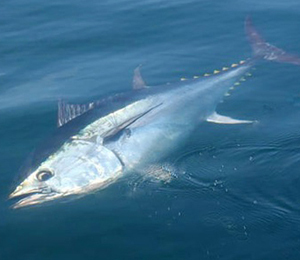 In the Key West region, bluefin can be found in deep waters from April to June. 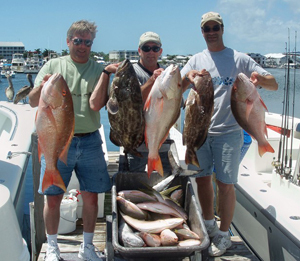 Key West fishing can charter your expedition, providing you with the proper boat, bait and the equipment needed to catch them. Bluefin can fight long and hard, with extraordinary tenacity. With a running speed of 40 miles per hour and the ability to dive a thousand feet, this fish will give you a thrilling experience you'll never forget!